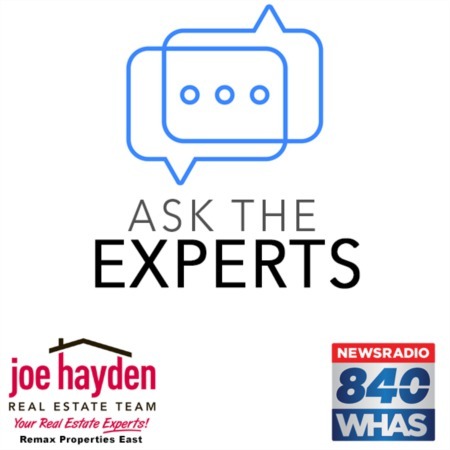 14004 Glendower Drive Louisville, KY 40245 | Home for Sale | MLS #1392943 | Joe Hayden Real Estate Team - Your Real Estate Experts! 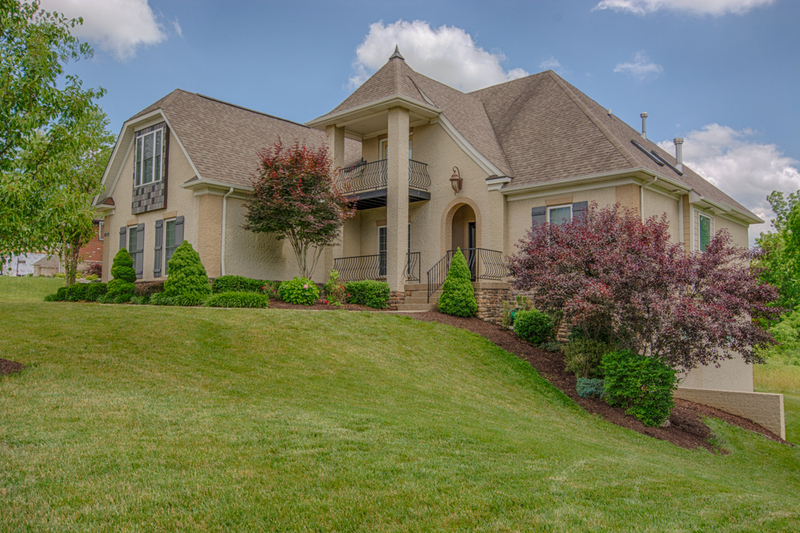 Gorgeous home at 14004 Glendower Drive in the prestigious Landis Springs subdivision! Greeted by classic architectural lines, this home welcomes you with a timeless patio and commanding arched entryway. Once inside, the spacious, open floor plan flows from room to room making the home very flexible for entertaining family and friends. The soaring great room features a wall of windows letting natural light reflect off the gas fireplace and the custom built-in shelving. Surround-sound is installed in this room for advanced media systems. The formal dining room features extensive moulding, a domed ceiling and access to a convenient butler's pantry. The eat-in kitchen is an excellent place to gather and the chef in you will feel right at home. 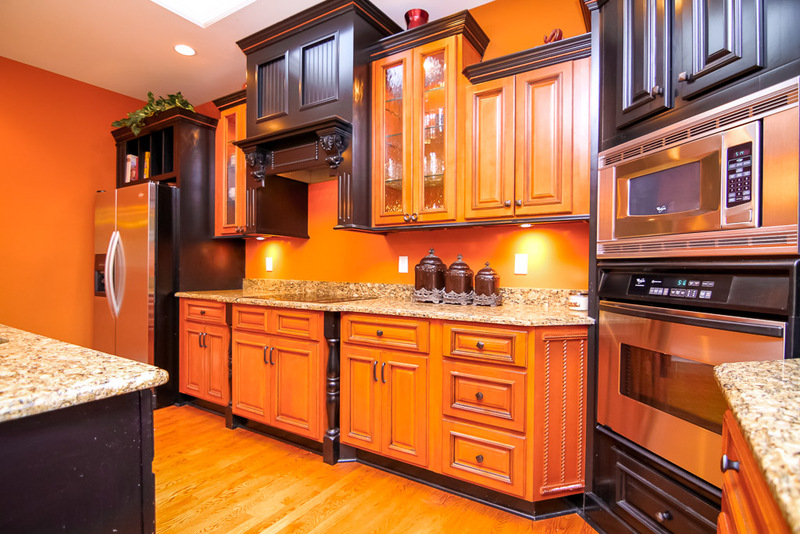 Warm colors, durable granite counter tops, a logical design and layout, a breakfast bar, extensive counter and cabinet space, plus direct access to a covered deck, all make for a very functional space. Access to the laundry room, half-bath and the 3-car garage are all found off the kitchen. The first floor master bedroom features a vaulted ceiling with rope lighting, tasteful colors, and an en-suite master bathroom featuring a relaxing whirlpool tub, a gas fireplace, a large standup shower with body jets, dual sinks in the vanity, a water closet and a spacious walk-in closet. Gleaming oak hardwood flooring completes the first floor. 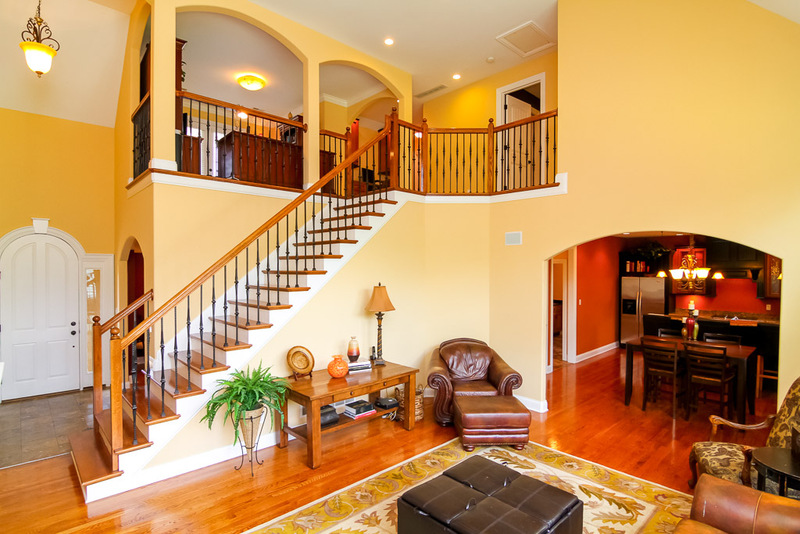 The second floor features 3 additional bedrooms, a large full bathroom with 2 vanities, a built-in desk, a flex space overlooking the great room currently used as an office that has direct access to a private Juliet balcony and additional storage space. The walk-out basement is set up as a wonderful entertaining / guest space. 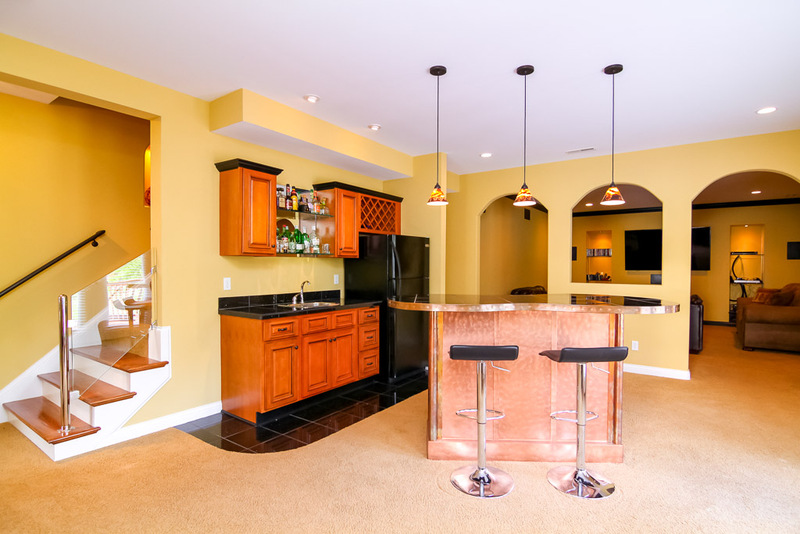 The free-standing bar is covered in copper and looks fantastic as a centerpiece to the basement. 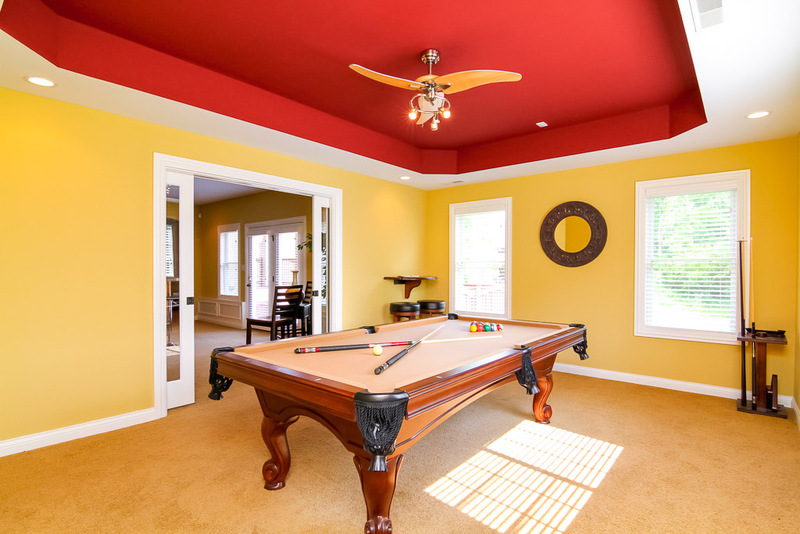 A wet bar, a media room with surround-sound, and another flex space currently used as a pool room all add to the capabilities of the lower level. 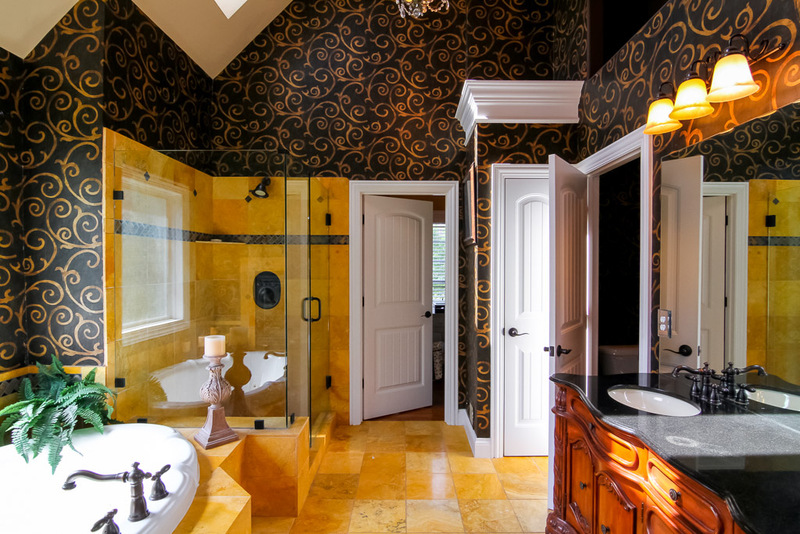 A spacious guest bedroom along with a luxurious full bathroom featuring marble flooring and an antique claw foot tub, plus extra storage in the unfinished portion of the basement completes the lower level. 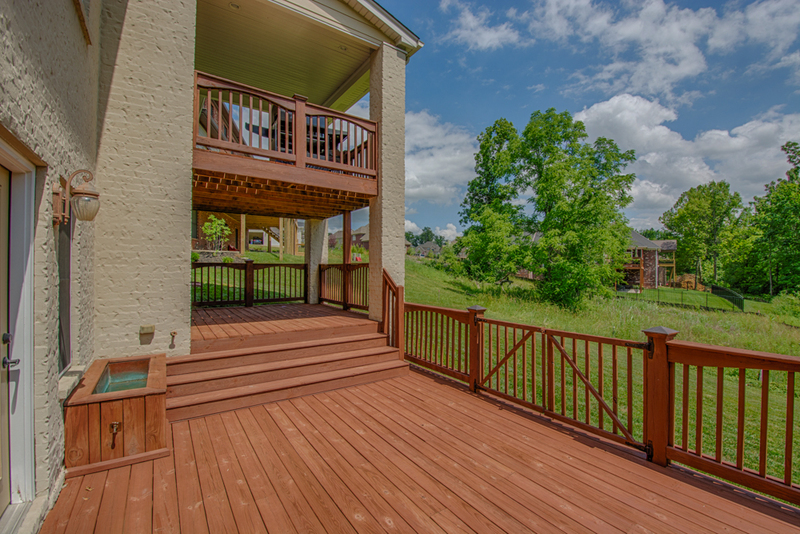 Additional features and updates to the home include a freshly stained multi-level deck, an alarm system, the area to the rear and right of the home is green space according the neighborhood plat (buyer to verify) and maintenance-free exterior construction. The mounted TVs and the pool table in the home are negotiable and the clothes steamer in the unfinished area of the basement does not remain with the home. The neighborhood itself is conveniently located near the Gene Snyder Freeway and I-64, along with quick access to numerous shopping and entertainment options, plus quality schools. Schedule your private viewing of this special home at 14004 Glendower Drive today to see for yourself how it can meet your unique lifestyle.